Dyed polyester Erin Go Bragh flag with grommets. Dyed polyester Erin Go Bragh flag with grommets. The phrase Erin go Bragh translates from Gaelic as 'Ireland Forever'. 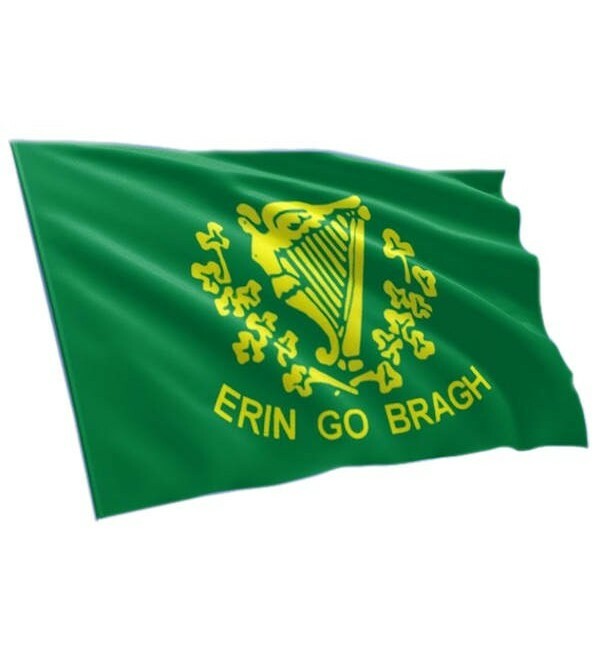 The Saint Patrick's Battalion who fought in the Mexican war of 1847 used the Irish Erin Go Bragh flag.